An accident or fall that results in a broken bone is followed by the inevitable hospital visit. X-rays are taken, insurances are billed, and in many cases, bulky and uncomfortable casts are tightly wrapped around fractured extremities. Casts are a necessary evil. Most orthopedists will keep a broken bone in a cast from four to six weeks. During this time the cast must be kept dry, and the broken limb must be protected. 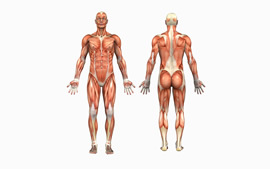 This typically means no weight bearing or complex of the surrounding joints. During this time the fracture line will fill with a stabilizing cartilage, and the cartilage is subsequently replaced with new bone. The ultimate result is a strong new bone that should be able to take the demands of every day life. Once the cast is off and the patient leaves the orthopedist’s office, there is often confusion experienced by the patient in terms of what to do. Psychologically, the patient has had the notion of protection and non-weight bearing hammered into his or her head: To suddenly have the “OK” to weight bear can be stressful. Here are a few tips to help ease the transition back into normal function. 1. Your arm, leg, or other fractured area belongs to you. Do not treat it like a foreign object once you are out of the cast. 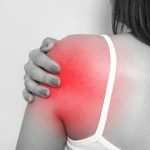 People have the tendency to carry a newly healed arm like it is still fractured, with the elbow bent and the shoulder shrugged up into a protective posture. Practice walking with a normal arm swing. 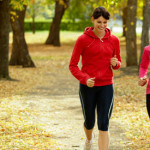 In terms of the legs, try to avoid a limp, even if this means significantly slowing down your walking speed. 2. Flaky skin and weird hair growth on the cast site may be disgusting, but it is normal. Once the cast is off, take a bath and clean the skin. When I fractured my leg, I had to take a bath, drain the tub, and wash it again. An abundance of skin will likely slough off. 3. If your skin is hypersensitive, work on desensitizing the skin by rubbing it with a towel, tapping it with an eraser head, and placing gentle pressure on the skin with your hand from time to time. If the area becomes suddenly swollen and overly hypersensitive, talk to your doctor about it. It could be an abnormal bodily response and may need to be dealt with by a medical professional. 4. Build yourself back slowly. Too much exercise too quickly can sometimes be a problem. The danger in over exercising is not re-fracturing the bone, but rather developing tendonitis or strain in muscles that are not ready to work at a high level. The rule of thumb is to listen to what your body is telling you. 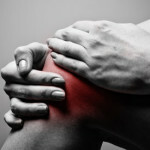 If you start developing sharp pain in your muscles and tendons, you are likely pushing the exercise too hard. 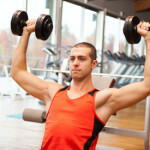 Back off a bit and allow a day or two of muscle recovery. 5. It is always a good idea to see a medical professional to make sure that all of the surrounding joints are moving ideally. Normal mechanics are vital. A healed ankle that is stiff can be a long-term problem for the lower back. An elbow that won’t straighten entirely places a burden on the neck and shoulder long term. Daniel Sir This is Prashant Gawas, from Mumbai, India. Recently I had fracture, after removing cast I am unable to straight & fold my elbow as before fracture m able to do. It hurts when m trying to straighten it, & doing exercises my shoulder lift off. Please sir guide me, as its my right hand. Its very important for me to recover as I wiling to Join Police force. Prashant I would work at first on straightening and bending the elbow using only the muscles of that arm to move the elbow (do not assist it with the other hand initially). It would be a good idea to see a physical therapist to get specific instruction: it would probably only take one visit. My son had his cast removed yesterday and today he fell outside on his arm, he had a fractured elbow, and now it’s hurting and i cant even touch his elbow because it hurts, do u think i have to take him back to the hospital?? I would take him to the doctor and have it checked out. Children do tend to get better end-results than the rest of us. I would say that if he is 40-120° now he will improve noticeably from that. I wish that I could be more specific than that, but I obviously am not there to tell you how the elbow actually “feels” in terms of joint stiffness. You may want to consider getting “static progressive” brace for him after a month or two of PT if things need to be pushed a bit more. There is a company called “JAS” that does a good job with fitting people with these stretch braces. They are typically used for a few months to assist with stretching out the elbow, and you child might actually think that it is fun to do. Ask the doc and the PT about the brace. Good luck!